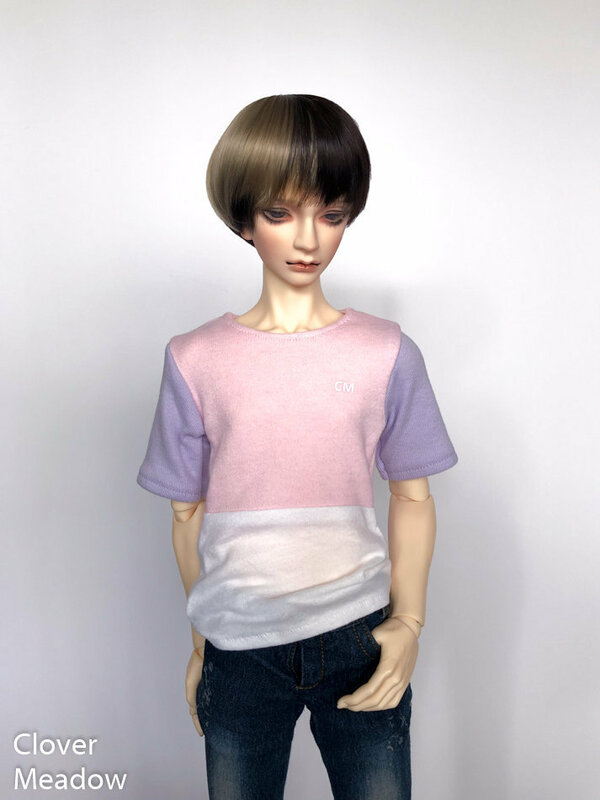 Fun pastel color block shirt in a loose casual fit. 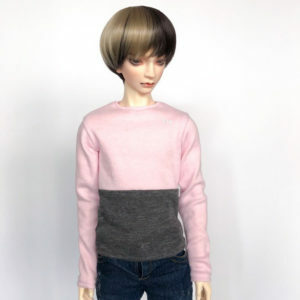 Has a pink chest with lower white half and lavender purple sleeves. 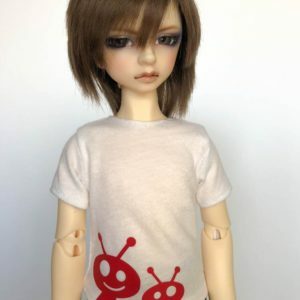 Features a white CM logo on the chest. 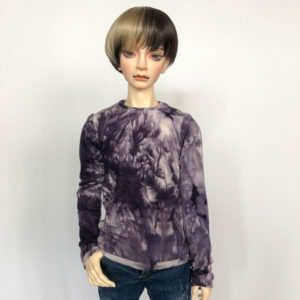 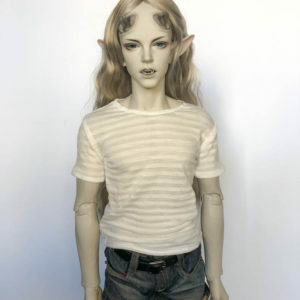 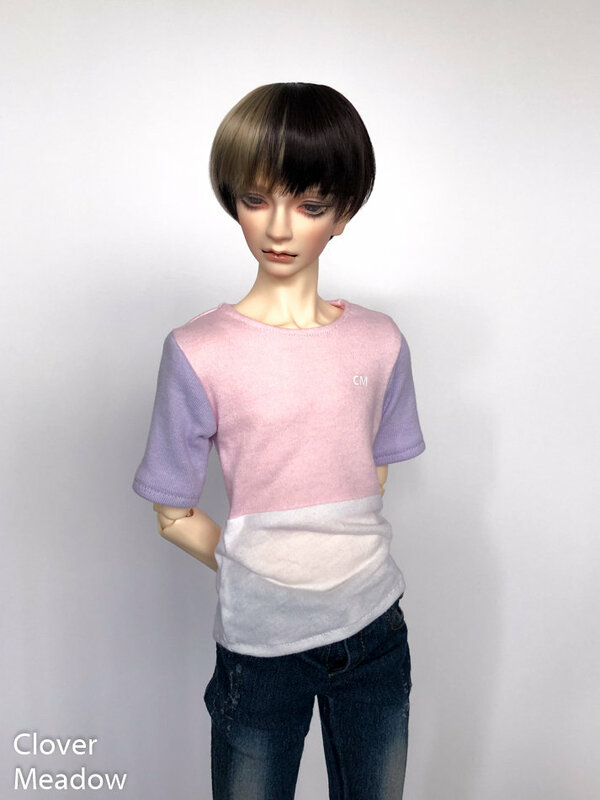 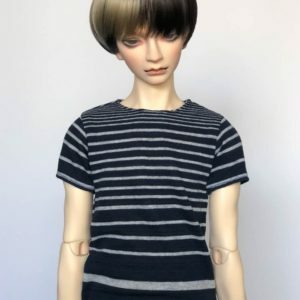 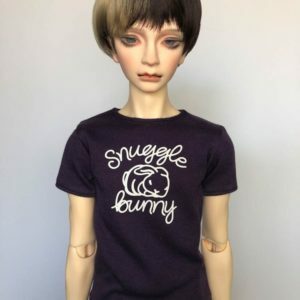 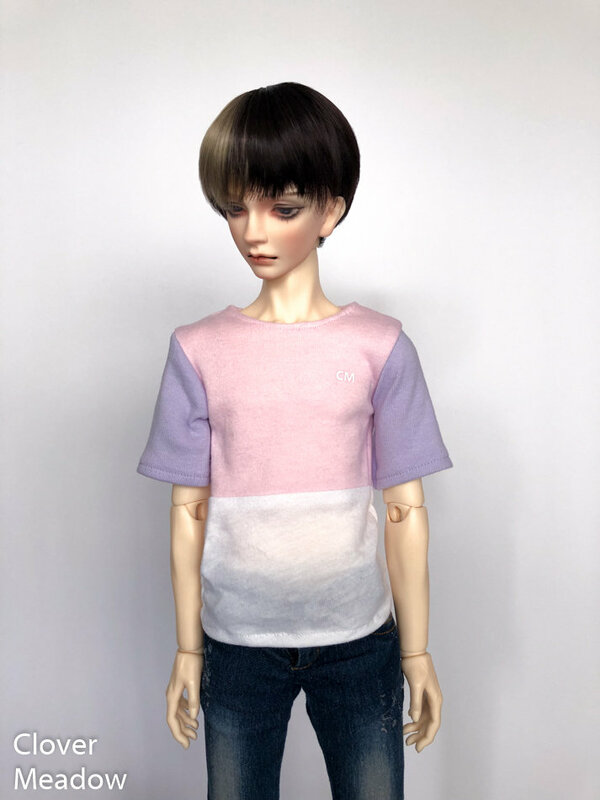 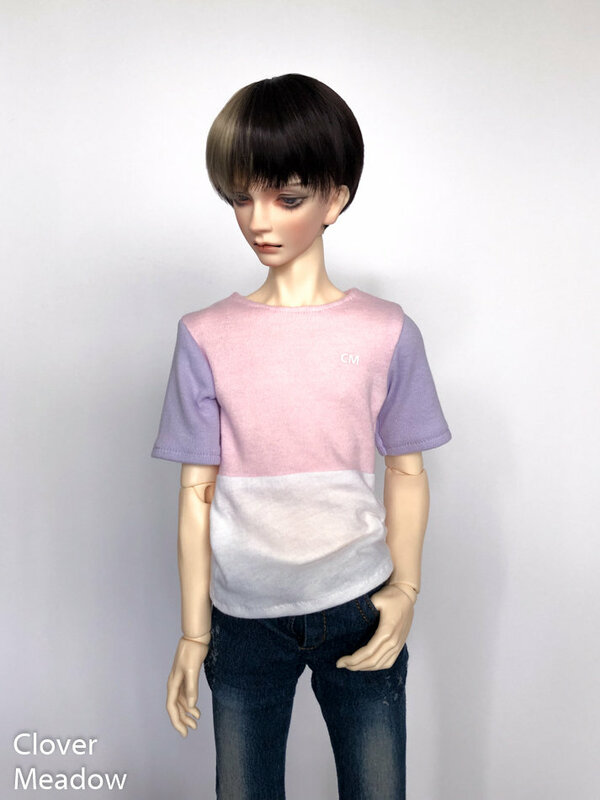 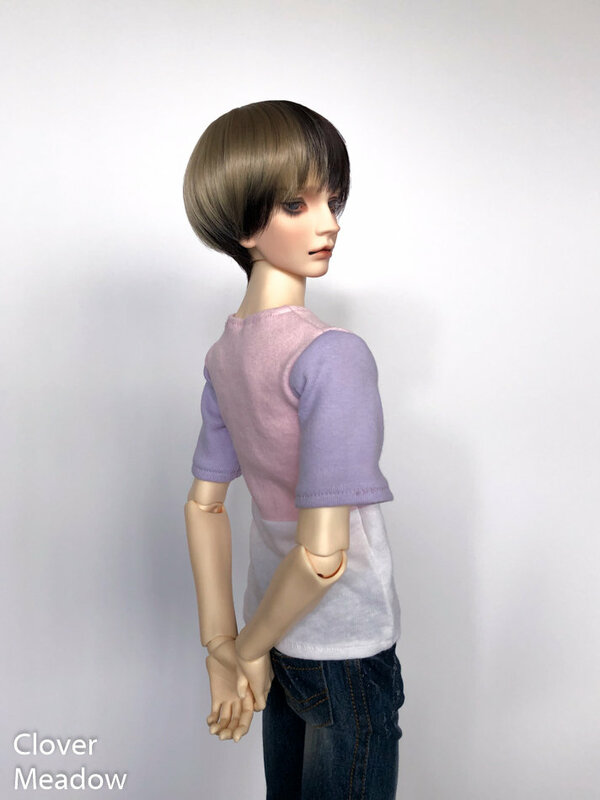 Please note that this shirt is made to be as realistic as possible and does not have a back closure, so you may need to remove your dolls head before dressing them. 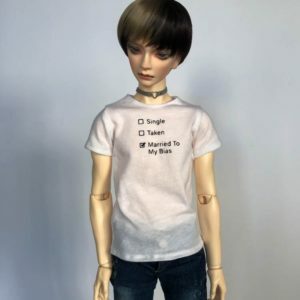 Do not iron the logo. 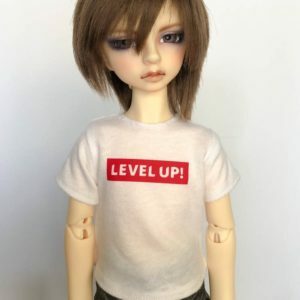 This is not a toy and is intended for adult collectors only.